More Games, More Fun, More Food! Back to school haircuts free & available (first come first serve). Back to school backpacks and school supplies (first come first serve). Please make sure you stop at the registration table to get a ticket for your backpack! This is a free to the community event! 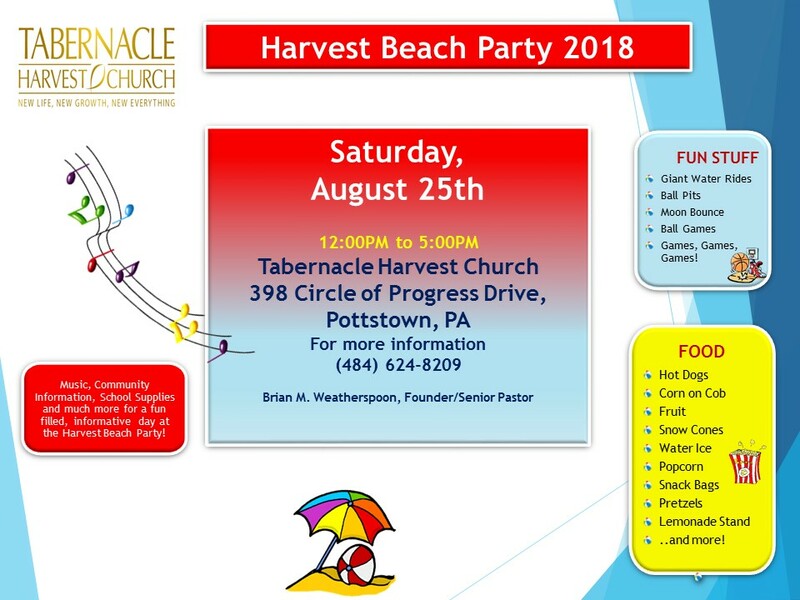 Come out enjoy a fun relaxing time at the Harvest Beach Party right in Pottstown! If you are a Non-Profit or Community Support organization and would like to have an information table at this event please call the church for more information during office hours at (484) 624-8209.